Ultimate Guide to the Best Cape Cod Has to Offer! Welcome to the Best of Cape Cod! We are Maria and John VanDerLaan and that is our family. Our favorite place in the world is Cape Cod. We have been vacationing here since Maria and I were kids… let’s just say for more than 30 years. We have introduced many friends to this wonderful place, and many of these friends have asked for web sites where they can find information about the Cape. While there are a number of web sites out there, they are all more like directories. They list resorts or restaurants or beaches, but they don’t tell you which ones are the best. So we’ve created a place where we will offer our opinions on the absolute best that the Cape has to offer, including beaches, lodging, beachfront rentals, dining, camping, mini golf, fishing, every thing that you can imagine. Ahh… and here’s the best part, you get to vote for your favorites as well, and we will include the results of your voting. That way, you will get an honest answer to what truly is the Best Of Cape Cod. The Cape is a very special place, with many places to stay, places to eat, and many things to do. We hope to guide you through, and lead you to the best in each of many categories. Just think, no more eating at restaurants that aren’t so good, or planning all year to stay at a place that sounds great, only to find that it is not so great. Or taking your toddler to the beach, only to find that the waves are so big, you can’t let her near the water. We will guide you to the best beaches for kids, the best romantic beaches, the best surfing beaches, the best fishing beaches. You get the idea. Come in and look around. Check out our favorites, and be sure to cast your vote for your family’s favorites. Bookmark our site and check back often to find out what truly is the Best Of Cape Cod. Click here for a directory of Cape beaches, as well as the top choices for, best beach for families with young children, for sunsets, for body surfing, the most romantic beach, and the best dog friendly beach… you get the idea. Check it out, you will be glad you did. Oh, and don’t forget to cast your vote for your favorite beach. Check out this great article about boating on the Cape, complete with links to resources such as the best boat rentals, marinas, and great information on all of the boat ramps on the Cape. Are you looking for a dinner cruise, or maybe a sunset cruise? We’ve got it all, including all of the ferry schedules, and charter fishing boats! The blog will keep you up to date on what’s new at bestofcapecod.com, as well as the current issues affecting the Cape. You can also post your own blog or comment on others. Share your thoughts…Give a review…Just rant and rave. It’s up to you. There is no limit to what you can do…Even upload pictures! If you are looking for a family vacation without spending an arm and a leg…Camping may be your answer! We will show you all of the camping options on the Cape…Including state parks, private campgrounds and yes…Camping on the beach! Whether you prefer to camp in a tent or with an RV…We have all of the answers to your Cape Cod camping questions! Check it out today! Family Vacations are all about creating memories that will last a lifetime and the Cape is the perfect place for a family vacation you will never forget. This page is a great resource for your family vacation. Complete with links to the best places to stay with kids, the best beaches for kids, the best boat rentals, sunset and harbor cruises…How about mini golf, or maybe a a charter fishing boat…Don’t miss a Cape league baseball game. Great baseball…And it’s FREE! If you are planning a family vacation to the Cape, don’t miss this page! 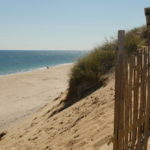 If you are looking for the best places to stay on Cape Cod with kids, then this page is for you. We stayed at each of these family resorts and rated them on a number of different criteria in order to determine the best. These resorts offer cottages, condos and villas as well as rooms with an amazing array of amenities. Unlike other web sites, resorts cannot pay to be listed here. For the best places to rent on the Cape…Check it out today! If you need a break from the beach…you’d like to spend a quiet day with your spouse…you need some good exercise or you’re just looking for something to do which will not involve your kids begging for ice cream money…rent a kayak or reserve a few spots on a kayak tour. Enjoy the spectacular beauty of the Cape’s ecosystem from a kayak…and relax. You will be glad you did! Your guide to the best luxury resorts. The Cape is home to some of the finest luxury resorts in the world. We stayed at each of these resorts and rated them on things like…World class spas, extraordinary service, fine dining, and most importantly…Impeccable attention to detail. If you can dream it…You can make it happen at one of these luxury resorts! 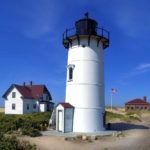 If you are looking for information on Cape lighthouses, then this page is for you! We have all of the lighthouses listed with links to their web sites. We will even show you lighthouses that you can spend the night in! Very Cool! Take a day and check out one of these icons of the Cape. No matter where you’re staying, there is sure to be one nearby. You’ll soon understand why residents and regulars hold these lighthouses so dear and work so hard to preserve them for generations to come. Stop taking a chance on restaurants on the Cape. Your vacation time is too precious to waste. We will guide you through the maze of restaurants so that you arrive at only the best that the Cape has to offer. We will show you town by town, which are the best restaurants…And remember, unlike other web sites, restaurants cannot pay to be listed here. You can also post your own restaurant reviews or vote for the best lobster roll. Check it out! Your guide to the best Cape Cod romantic getaway. When life gets a little hectic and you need some quality time to reconnect, there is no better place than the Cape to rekindle that flame. We love to discover romantic spots on the Cape and share them with you! Visit this page for great ideas for your romantic getaway! We truly hope that your romantic getaway to the Cape is as wonderful as ours have been, and we are thrilled to be able to share our experiences with you in order to make your getaway special. No, it’s not California or Hawaii, but the Cape has some great under rated surfing hotspots, and the best part is, with 40 miles of open beach and countless beach breaks, you can find your own, uncrowded waves. Keep in mind that this is cold water surfing and a wetsuit is highly recommended. All of the Atlantic beaches on the east side of the Cape have surfing potential. Some are always better than others. We have listed all of the best surfing beaches, with important info. The #1 rated guide for Cape web cams on the internet. We have all of the web cams here in one place for your convenience. You can check out a sunset, or the party at the Beachcomber. You can keep tabs on the weather at Coast Guard Beach, or check on the traffic conditions at either bridge. Check it out! Whale watching will bring you up close and personal with some of the worlds largest and most majestic creatures. It is one of the most unique and exciting things to do while visiting our paradise. 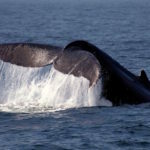 Humpback, finback and minke whales make their summer homes near the Cape. The chance to see these and other sea creatures in their natural habitat is not to be missed. 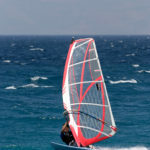 If your looking for information on windsurfing, we’ve got it. You will find these pages packed with up to the minute info as well as links to other sources, such as the best places to rent equipment, the best places for lessons, and the best beaches to sail from. The popularity of windsurfing on Cape Cod continues to grow. The southern shore of the Cape has some of the most predictable southwesterly thermals on the whole east coast, making it a premier destination for windsurfers of all abilities. If you’ve tried windsurfing in the past, you owe it to yourself to check out the technological advances that equipment manufacturers have made in recent years. For those of you looking for your Matcha fix on the Cape, we’d like to let you know about Snowy Owl Coffee Roasters in Brewster. Best Matcha Latte we could find! What is Matcha? According to the Matcha Connection, Matcha is a super concentrated version of green tea that has been increasing in popularity in the recent past, when in reality, the use of matcha dates back thousands of years. The process entails cultivating green tea plants, shade growing the plants during the last weeks before harvest, hand selecting the youngest leaves, then a drying process, and finally, grinding the leaves into a powder. Stop in to the Snowy Owl Coffee Roasters and try a Matcha Latte today! Would you like a website like this one? Would you like to learn how to build a real, sustainable online business and make passive income every day writing about something you love? If you answer yes to those questions then you should check out SBI. I used SBI to build this website and others and now I have the time to spend with family on the beaches of Cape Cod in the summertime and in the tropical waters of the Florida Keys in the winter. Do yourself a favor and take a look at SBI and what it offers in terms of training and support. 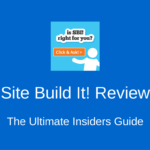 I think you will be impressed and may want to use it to build your own online business. Once you cross the bridge to Cape Cod, you can almost feel the stress melt away. The air is different, cleaner, clearer. It's as if time slows to a crawl. Ahh...you are on the Cape.